When a chimney is damaged and deteriorated beyond repair, rebuilding is the next step. Sometimes rebuilding is cheaper than trying to fix various areas of an existing fireplace. Fixing crowns, flashing, tiles, and mortar as separate projects are not always the best option. Breaking down the chimney to where it is stable and building it back up with new materials is often the best choice. All chimneys require regular repairs and maintenance. A chimney sweep company would do its best to patch up any cracks or holes and fix up any issues as needed! With that being said, sometimes a repair job just won’t cut it. In such cases, you need an expert to rebuild your system, and our certified staff can help you out! The type of rebuilding work a chimney sweep company may do depends on what exactly caused your damage in the first place. A lot of things can cause wear and tear on your chimney. One of the most common causes of wear and tear is: water! The universal solvent. Water-soaked masonry combined with weather and temperature patterns is a recipe for chimney disaster. In some regions, many freeze/thaw cycles destroy masonry structures. As the water goes through the porous masonry, it expands and contracts as the temperature changes, which the causes the breaking apart of the masonry bonds. The result is possible brick cracking, separating, lifting and actual holes with a weakened chimney structure. Other circumstances like chimney fires, damages caused by lightning, fallen trees, and sinking foundations have also been known to cause catastrophic chimney damage that may require rebuilding. However, such an unexpected event is often covered under homeowners insurance. What Does Rebuilding a Chimney Entail? Chimney damage often happens top-down. The water enters inside, freezes and expands, then breaks apart the masonry. Some masons can reconstruct a whole firebox, hearths, and smoke chambers if the job calls for it. A chimney sweep will make sure that your chimney is completely clean and functional. A faulty chimney can pose a significant threat to your safety. 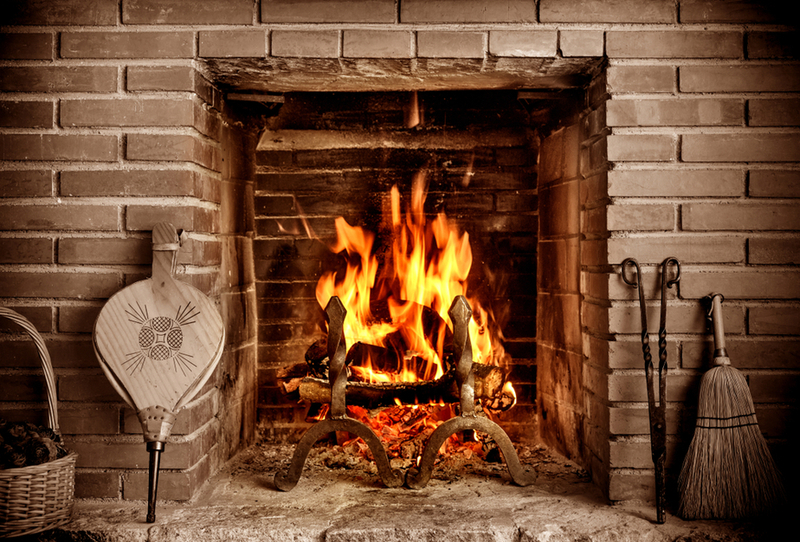 A chimney sweep will inspect various parts of the fireplace to determine the scope of the problem. It could be a cracked liner, flue blocked, or creosote. The average homeowner may overlook some potentially dangerous problems. 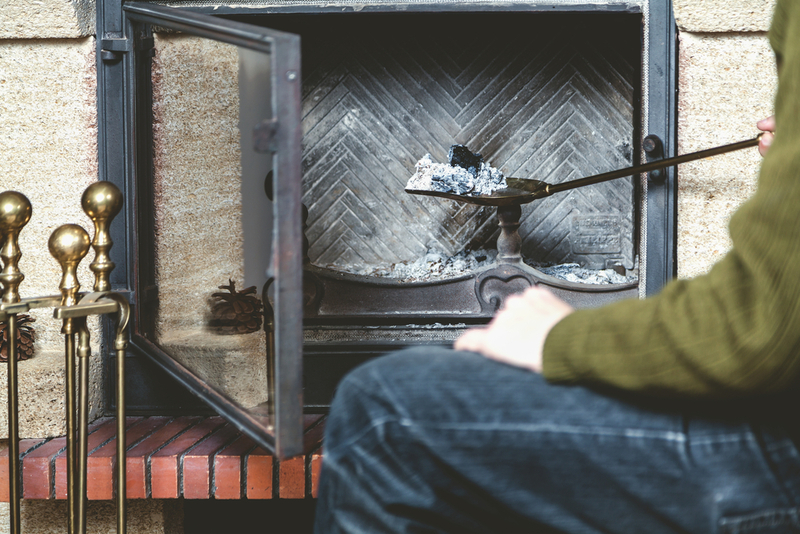 If there are any issues regarding your chimney, the chimney sweep will point them out to you so you can have them resolved sooner rather than later. After the chimney inspection, the chimney sweep will then proceed to clean it. Special brushes are used to scrub to ensure all debris inside the chimney is removed. Since the job is very messy, the chimney sweep will need to cover the fireplace opening with tape and a tarp to protect your floor and furniture. After the chimney has been cleaned, the chimney sweep may inspect it again since there may have been problems which were hidden by some of the debris. Note that anyone can call themselves a chimney sweep due to lack of licensing laws for the career. Therefore, you should only hire a chimney sweep from a qualified chimney sweep company, that has been certified by more than one recognized professional organization, and who also has great reviews. You should ask your chimney sweep company to provide you with a list of references for you to check out and confirm the quality of their services. A portfolio of previous work would also be helpful. Having a clean chimney is vital, so ensure you get a chimney sweep company to do the job properly. Professional sweeps from a certified chimney sweep company can handle any project, large or small, and determine the best course of action based on your chimney situation. The right chimney repair company will help to maintain your chimney’s structure and look out for signs of damage, before they become a significant problem, that can potentially cause potential threats to your home and family. If you’re looking for the perfect chimney sweep company, look no further. Contact us whenever you have issues with your chimney, we ready to offer services anytime.